Phoenix reached its first 90 degree day recently and it is no surprise that we are all reaching for that thermostat dial and setting it to “chill.” Warmer temperatures and refreshing escapes are exactly what many Phoenicians crave for the coming dog days of summer but for parents that are looking for new and inventive ways of celebrating their child’s birthday, this means keeping everyone cool. In the days of dial up, parents relied on the limited tips and tricks for planning kids parties from friends and relatives. No longer do we have such limitations! You can have virtually any theme you can imagine set with your family pool as the backdrop. Don’t have a pool? There are ways around that as well. All that summer parties require is for your imagination to take over! Water balloons, squirt guns, and pool noodles, oh my! Obstacle courses made from inexpensive pool noodles are both safe and cost effective. 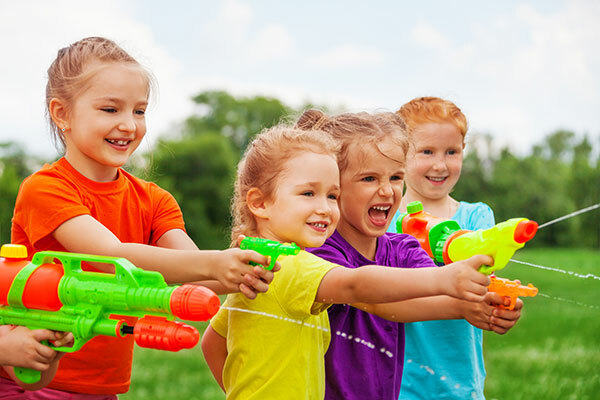 And no summer gathering is complete without some kind of water gun and water balloon games in the mix. Splash Pads are becoming exceedingly more popular here in the Valley and although most are open starting in May, they can still be a perfect way to cool off, if your family decides to celebrate at a neighborhood park. Be sure to check with your city’s park and recreation department for this season’s schedule and options for reserving covered picnic areas. Our friends over at Raising Arizona Kids provide a great list of all the splash pads in the greater Phoenix area. And don’t forget the great treats to help the kids cool down in the heat when they’re not in the water. These two great ideas from Pinterest are sure to keep the kids smiling for days. Helpful Hint: If you’re going to battle the brutal Arizona Summer sun, a sunscreen station for outdoor parties is a must. Your guests will thank you! 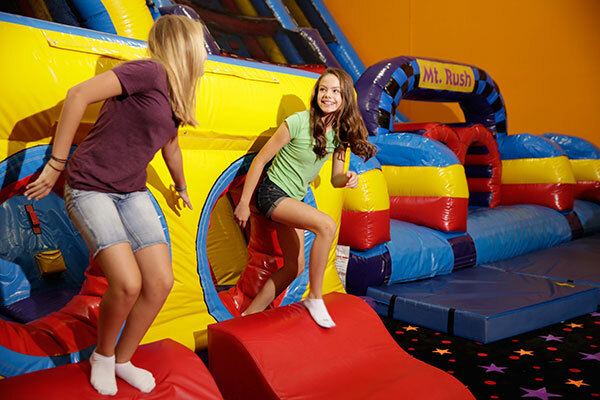 If avoiding the sun and heat is more your speed and running for the A/C and taking refuge indoors is your best option for hosting your child’s summer birthday celebration, there is no better choice than Pump it Up! It’s absolutely perfect for those of us that are constantly on the go and need a one stop shop kind of experience. Pump It Up houses two large indoor and fully air conditioned play arenas with fun inflatable attractions, it’s 100% private unlike a public park and, did we mention, you don’t have to clean up afterward? Your dedicated Party Pros do it all for you and even supervise the kids ! All you have to do is sit back and celebrate with your kid. You can even play on the inflatables with them! Parties are fully customizable with great add ons like Balloon Drops, Bubbles, Goodie Bags and more! The best part? There are three locations spread throughout the greater Phoenix area so it’s convenient no matter what part of the Valley you live in. Find the closest one to you here. If your kids mention Pump it Up for their next party, listen to them. Trust us. At the end of the party, all you will have to worry about loading in the car is leftovers, personal items, and your little party animals. You’ll look like a rock star and have the rest of your day to bask in your awesomeness! 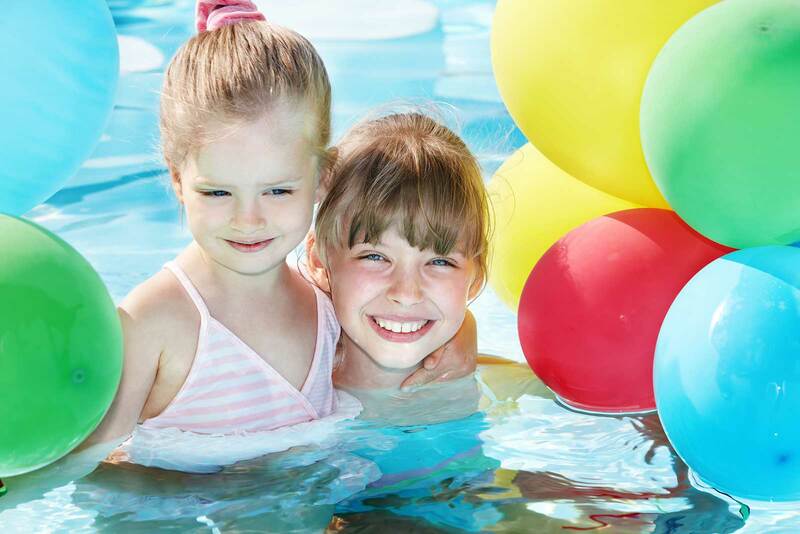 Does the easiest and coolest — literally and figuratively — kids summer birthday party in Phoenix sound good to you? Checkout all of our great birthday party options now!